Posts tagged with "Massachusetts Solar Initiative"
At Pope Energy, we are very much involved in the initiative to create and grow a sustainable solar program in Massachusetts. Now, this solar incentive program will begin accepting applications on November 26, 2018. 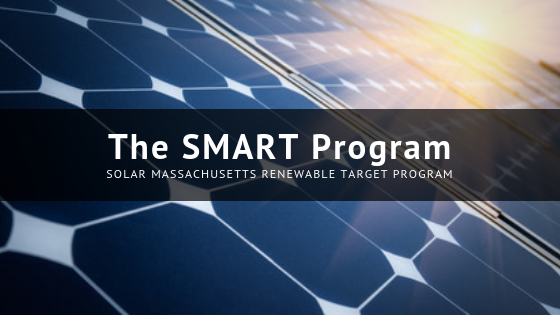 The Solar Massachusetts Renewable Target Program (or SMART) has been in development for some time; it was supposed to launch over the summer, but was delayed until November 26, 2018. The SMART program is administered by the Department of Energy Resources (DOER) with the tariff ordered by the Department of Public Utilities (DPU) and has a program capacity size of 1,600 MWac. SMART will replace the SREC II program that has existed in Massachusetts for some time. In addition, the SMART program will have a 20-year contractual tariff for systems over 25kW and a 10-year contract for those programs less than 25 kw. There are “adders” to encourage certain sectors such as agricultural solar, community solar, low-income community solar and energy storage. The SMART program was urgently pushed by advocates, who said that the solar business in Massachusetts was falling behind the rest of the country. And now, it looks as if the state is about to have a solar resurgence, with a solid structure in place to promote, utilize, and capitalize on this renewable source. Due to the confidence that Massachusetts has engendered by consistently and dependably managing its previous solar programs, investors are flocking to invest in Massachusetts solar resulting in a potentially over-subscription of the SMART program in some utility service territories. Read Pope Energy’s latest comment letter on the SMART program on our blog. At Pope Energy, we cannot wait for SMART to officially launch. We look forward to working with farmers, landowners and commercial properties looking to add value to their properties by installing commercial solar systems. If you have any questions about this new program, contact us today! This entry was posted in The SMART Program and tagged Massachusetts Solar Initiative, SMART Program Launch, Solar Massachusetts Renewable Target Program, The SMART Program on November 21, 2018 by Pope Energy.